Congratulations to the new officers elected at our Sept. 16 membership meeting! 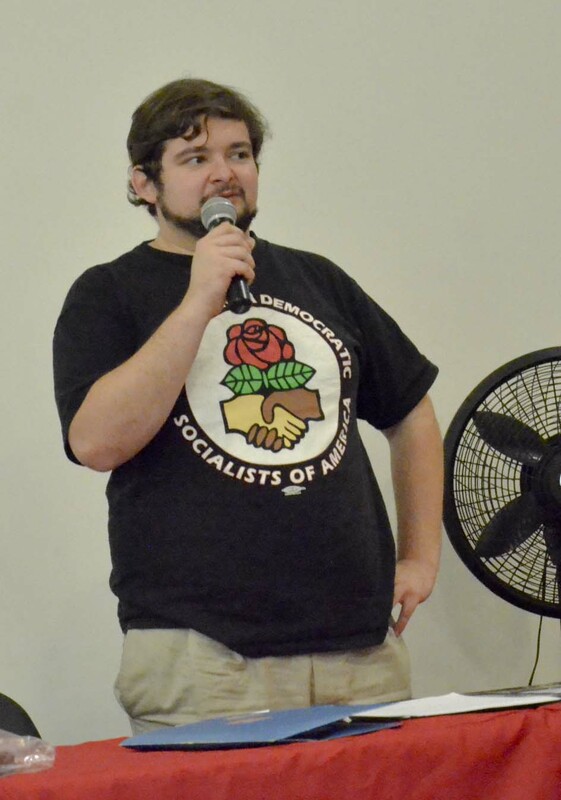 They are: Chair – Adam Cardo (in photo); Membership Secretary – Michael Lavender; Recording Secretary – Jeb Boone; Treasurer – Seth Ellingson; At-large (3) – Anat Fintzi, Erin Parks, Eric Robertson. Please give them all your support as they lead us during the next 12 months. (See “Minutes” above for more about the meeting.) Photo: Reid Freeman Jenkins.